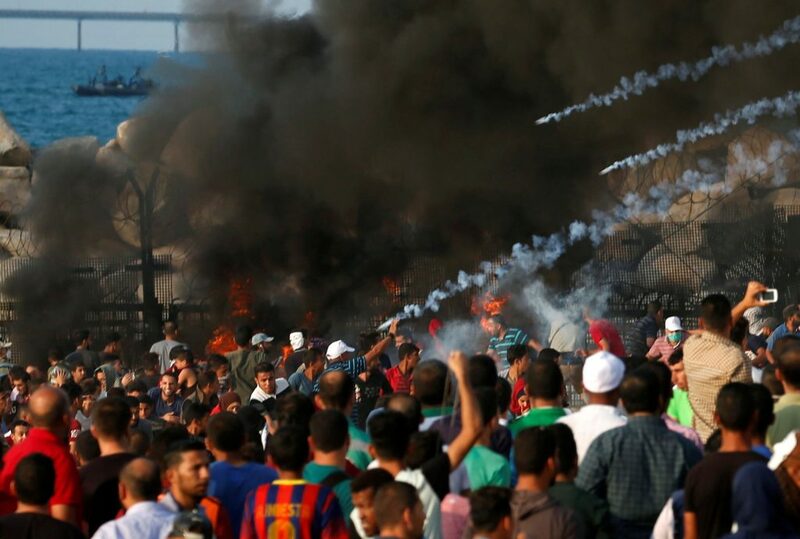 Violent Palestinian protests on both land and sea continued on Monday, as dozens of boats clashed with the Israeli navy and thousands were rioting again at the Gaza border fence, according to media reports. Israeli forces fired warning shots at a flotilla of dozens of Palestinian vessels off the Gaza coast, according to Arab sources. There was no mention as yet of any injuries. At the same time, Palestinians were throwing rocks and rolling burning tires at IDF troops on the Israeli side of the security fence near Zikim beach, south of Ashkelon, a military spokesperson said. The soldiers responded with tear gas and other non-lethal crowd dispersal equipment, as well as live ammunition in some cases.